He started his career in showbiz at the early age of 8 years, acting in the Cuban movie Los Arifices. After graduating from the prestigious Amdeo Rodán Academy of Music he soon became a lead singer with the famous Tropicana Revue. While on tour with the revue in the Dominican Republic, he met the American Lucia Kim, who now is his manager. From that day still several years passed until he decided to defect from Cuba, looking for more personal and artistic freedom. In 1991, while on tour in Austria, he had a unique chance: By way of exception the passports, usually kept by the Cuban security, were given to the artists. He immediately contacted an Austrian friend who had offered to help. But after another member of the Tropicana Ensemble went missing earlier that evening, he already saw his chances fading away. He canceled the date with the Austrian. The Cuban security was alerted and, afraid they might find the note with Lucia Kims phone number, he burnt this piece of evidence - causing the fire alarm to go off (however the hotel didnt catch fire as mentioned in other sources). Nevertheless the situation seemed so calm later, that he began to regret having canceled the date with the Austrian. After calling the Austrian without getting an answer, he decided to leave the hotel at the appointed time anyway. As he entered the hotel lobby there were two security guards - luckily sleeping. After passing them without problems and leaving the hotel he was free. But what to do now? Would the Austrian come, even though Miles had canceled the date? After some horrible minutes of fear and uncertainty he heard a car horn - and was saved. But that was just the beginning of his long journey. His request for asylum was denied by the Austrian authorities and he didnt have more success at the other consulates in Vienna. So he tried to reach Lucia Kims house in the Dominican Republic. But while she sent him a flight ticket, his passport expired. Only with luck and cleverness he got his passport stamped with a tourist visa to enter the Dominican Republic. But the problems kept accompanying him on his trip, there were delays in Holland and Switzerland and he even got locked up in Venezuela for some days. As he finally was sitting in a plane to the Dominican Republic, he heard a kind voice announce ... to Puerto Plata, Dominican Republic via Havana". Miles left the plane, which was ready to take off, immediately and later found another plane to the Dominican Republic. Arriving there after six months of traveling without knowing what lay ahead, he decided to use Miles as his new stage name. He spent the next year in the Dominican Republic, where he sought and received legal residency. And finally he got the long desired visa to enter the USA. But even there he only found more problems waiting for him. Lucia and Miles got thrown out of many record companies and even had to listen to things like Hes a famous Cuban singer? Go down to 14th street. Theyre a dime a dozen there.". But they never gave up. Lucia finally decided and managed to produce a demo tape herself. With that they almost raided Ralph Mercado, president of the biggest Latin label RMM, jumping him and putting the cassette in his hand. Some minutes later he came back and said Whos this?. From this point on Miles Peña experienced an incredible rise. In 1996 his third CD, Torbellino De Amor, was released and all his CDs contained several chartbusters. He appeared in the movie A Further Gesture" and performed with some of Latins greatest, like Ruben Blades, Willie Colón, Celia Cruz, Oscar D'León and Tito Puente. 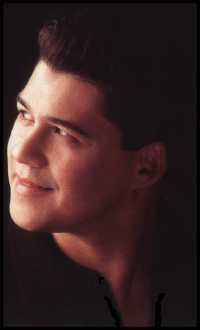 Many of his songs, like Mi Tierra Querrida", featured on the Super Cuban All Stars" album, are not only performed, but also written by himself. His latest CD, "Mis Ideas", has been released in April '98 and should be another important step of his career. It's the first CD produced by himself and he acheived his very own style here, mixing Cuban and New York salsa styles to a hot and danceable cocktail. Hes recognized as a great life performer. I've had the chance to see it with my own eyes (and ears) in April '98 in New York. It's amazing how he starts to improvise at the end of the songs, sometimes creating a whole new song out of a sudden idea. You won't see him doing the same show twice it always something new. Hopefully well be able to see him prove this in Europe, too. Of course youll find the tour dates right here on the Salsaholic. Copyright Klaus Reiter (klaus@salsaholic.de). Last updated: 19.12.98.